One day a catastrophe occurred out of the blue - her father died young and with huge debts that the family knew nothing about. Lek was twenty and she was the only one who could prevent foreclosure. 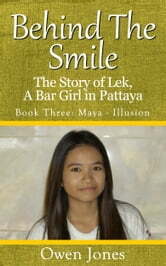 However, the only way she knew was to go to work in her cousin's bar in Pattaya.